Are you ready to make marketing education much, much easier? 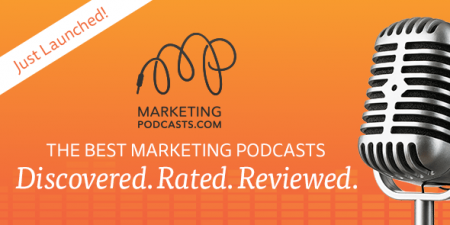 I am so thrilled to announce that today is the launch of MarketingPodcasts.com – a brand-new venture from me and the Convince & Convert crew that will help marketers learn their craft more efficiently and effectively. Plus, a rotating team of contributing editors have reviewed some of the podcasts for the MarketingPodcasts.com blog, and we’ll be reviewing more every week (like Pitchfork, for you indie music fans). You can subscribe via email (or feedly) to be notified when new reviews are posted, and when shows are added to the database. I decided to build this site because I was incredibly frustrated by how difficult it was to find good marketing podcasts, other than just by random word of mouth. 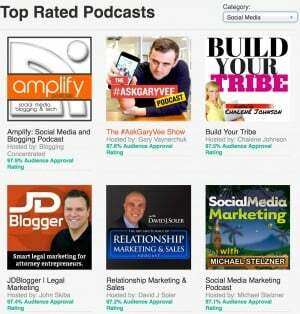 Of course I know my own shows – Social Pros and Jay Today – but finding other podcasts was maddeningly random. iTunes is a hot mess in that regard. So, I challenged my team (especially our developers at Marketing Press) to figure out how to build a discovery engine on top of WordPress. And we did it! 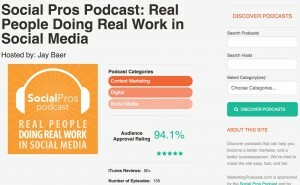 If you already listen to marketing podcasts, this site is a game changer for you. You’ll find a bunch of new shows you like, guaranteed. And if you don’t listen to podcasts today, I hope this new venture will encourage you to start, as you’ll find shows that precisely match your interests and style preferences. My friend Tom Webster and his team at Edison Research published a report earlier this year that found that 15% of Americans have listened to a podcast in the past month, an increase of 25% over 2013’s listening levels. This is largely powered by a shift to smartphones as a primary listening device, as computer-based podcast listening went from 64% to 46% in one year. I only see podcasts getting bigger, as more and more Americans (marketers, in particular) get busier and busier and combine professional education with working out and/or commuting time. I want to be right on top of that trend, hence MarketingPodcasts.com. To celebrate the launch of this new venture, we are running a contest over on MarketingPodcasts.com. When you go check out the site, you’ll see the entry form pop up. We’re giving away totally unnecessary, completely ridiculous, yet 100% awesome ear buds worth $600. They are custom fit to your own ear canals, and are the same brand worn by Lady GaGa, Brad Paisley, and The Shins. If you win, promise me you’ll write a review blog post of them? Thanks as always for your support. Would LOVE your feedback on the new site here, or use the Contact form over there. p.s. big thanks to our debut sponsor TapInfluence. They are the premier marketplace for online influence, connecting companies and influencers so that they can work on cool project. Thanks TapInflluence!